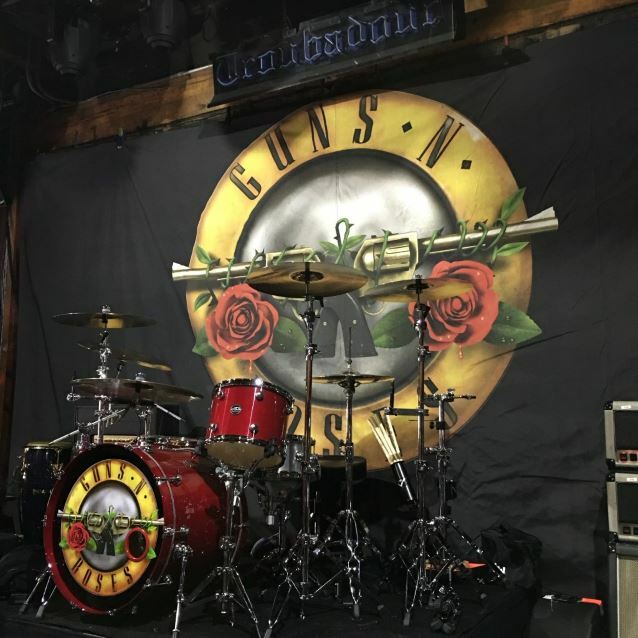 KCAL-TV has uploaded a video report on today's announcement that Guns N' Roses will play its first live of 2016 tonight (April 1) on the hallowed ground where the band started, the Troubadour, in West Hollywood, California. The video includes interviews with fans who were lined up this morning at Gibson Brands on Sunset, to purchase tickets for the show. You can watch the video below.